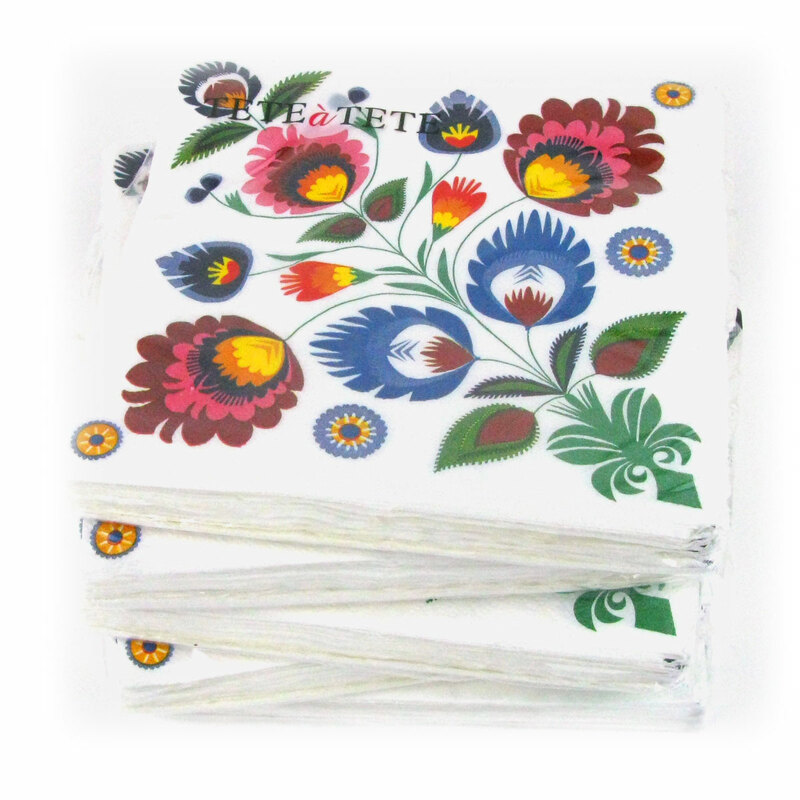 A pack of 20 paper napkins with a Polish papercut folk design printed on. 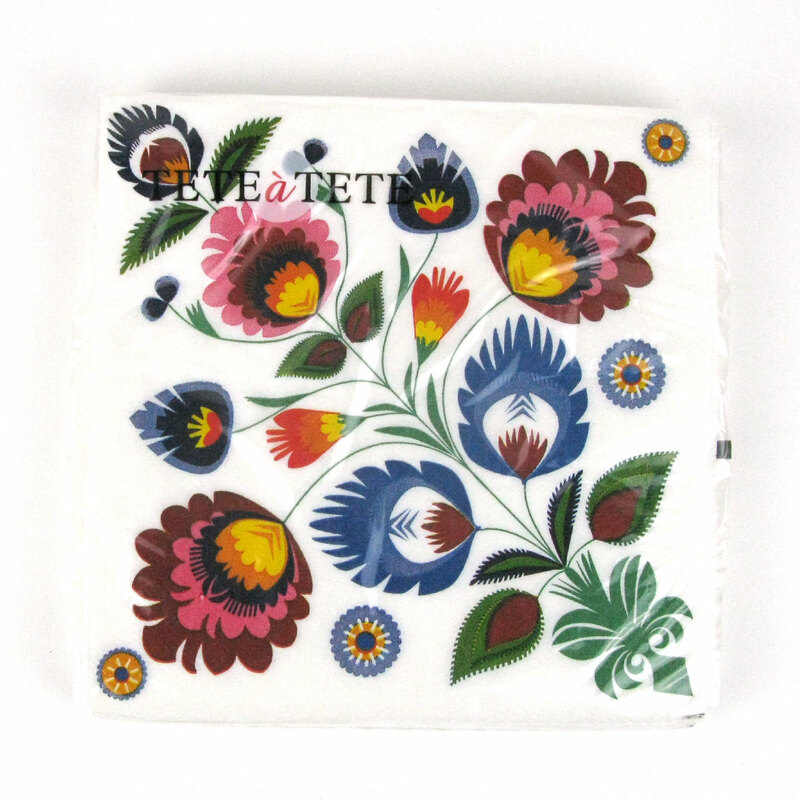 Various designs – pot luck which one you get! 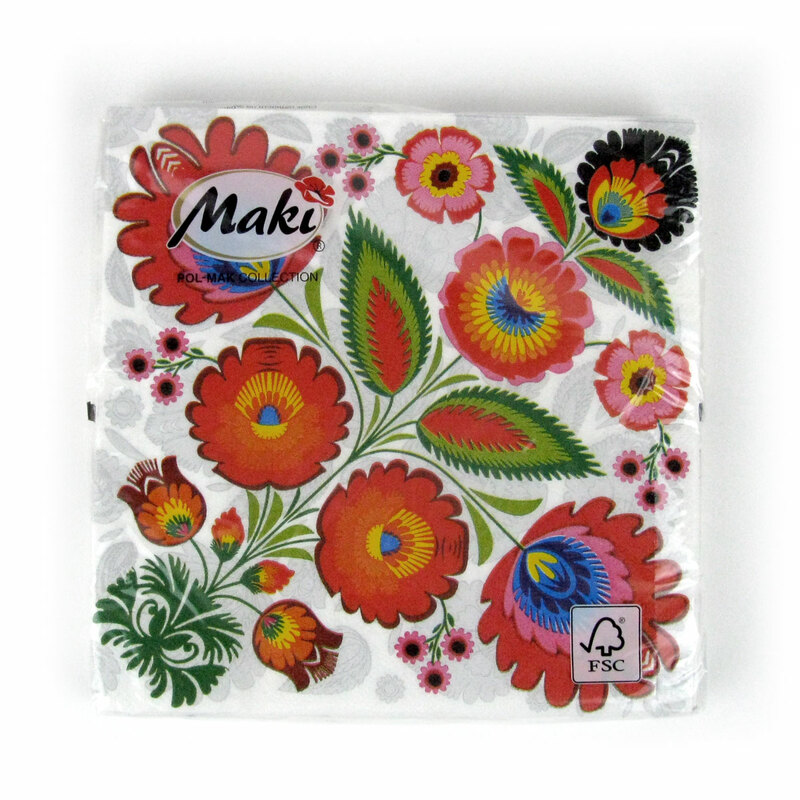 A pack of 20 paper napkins with Polish “wycinanki” papercut designs printed on them. The designs vary but it’s pot luck which one you get – they are all lovely.